One of my 2019 goals is to be a better Goodreads user. I had never managed to really get into it, forgetting to add books I’ve read, not to mention rate them. What I do differently now is to always keep the app around and check it in the evenings to add the book I’m currently listening to or mark them as finished. It’s going well so far. My current count is 15 books (14 audios, 1 ebook). I read a lot of really great stories lately and the reading slump I suffered from around New Year’s is fortunately over. It was a dark time, I can tell you that, with countless books being started just to be put away. In the end, my favorite got me out it. Feel free to friend me on Goodreads if you like. I’ve also picked up more ARC’s again lately. It means a lot to me that I can use my blog to support self-published authors. It makes me happy that we now live in a world where everyone who wrote a great book can get it seen by readers. So, the RecomMondaytion was one of the aforementioned ARC’s: Crosscurrents by D.B. Sieders. It’s such a great series. You should definitely give it a closer look! Last weekend I started a new thing, a round-up of all the free audiobooks from the previous month. I’m not entirely sure how I’ll handle it next month. I might do it a bit earlier. Just keep an eye out! 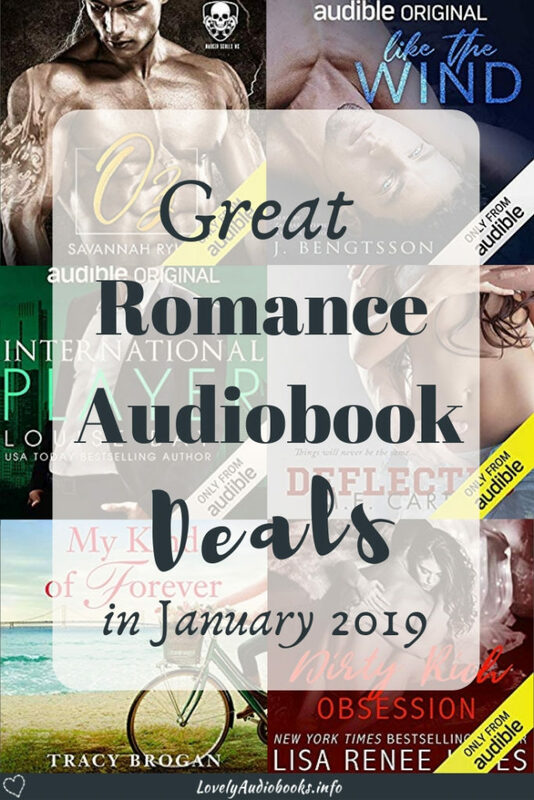 If you want to take a look at the additions to the Romance Package and the new releases in Kindle Unlimited “Read and Listen for Free” from December, check them out here and see if you missed any interesting ones. And while we’re talking about “Read and Listen for Free”, on Wednesday I posted a list of 6 absolutely awesome Fantasy series that you can listen to for free with KU. They are really good! If you like PNR, you should definitely give Urban Fantasy a try. That genre has a lot to offer. These audiobooks have only just been released and are directly available in the Romance Package! Kindle audiobook deals can slightly differ between local Amazon websites. The lists are based on Amazon.com. If you live in Canada or the UK, you will automatically be sent to your local Amazon. Please don’t be disappointed if your site has slightly different prices. Sometimes, an American free listen might cost a little elsewhere. But some of the “under $10 deals” might, in turn, be cheaper on your Amazon. 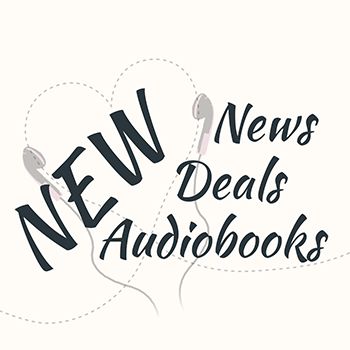 You can only get Kindle audiobook deals on your local Amazon website. The ebook is only $0.99 if you don’t have KU! I hope you found something great in the audiobook deals. I’ve just started using audible! This is awesome!